Sunny was the third prize winner of the 2009 Knigge Competition, as well as a past winner of the UBC Concerto Competition. He has subsequently performed with the UBC Symphony Orchestra, as well as the West Coast Symphony Orchestra. In recent seasons, Sunny has appeared as soloist with the Vancouver Philharmonic Orchestra performing Rachmaninoff’s Piano Concerto no. 3 and with the BC Symphony Orchestra in Mozart’s Double Piano Concerto alongside his teacher, Sara Davis Buechner. He was also invited to perform as soloist in the west coast premier of Charles Hansen’s Adagio for Piano and Orchestra with the Bellflower Symphony. Sunny was the recipient of the Johann Strauss Foundation Award in 2009, and the Else Cross Brahms Prize from the Royal Academy of Music in London, England in 2013. In 2017, Sunny was invited to join the Global Outstanding Chinese Artist Association as the organization’s ambassador in North America. 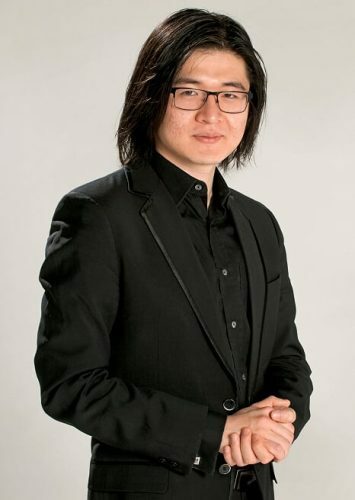 In this role he has served on the jury of the GOCAA International Piano Competition in 2017 and 2018, as well as given masterclasses at the 2018 GOCAA Summer Academy held at California State University Northridge.